Thomas grew up in Masterton and attended Makoura College where he was awarded the school’s top Kia Manawanui award. 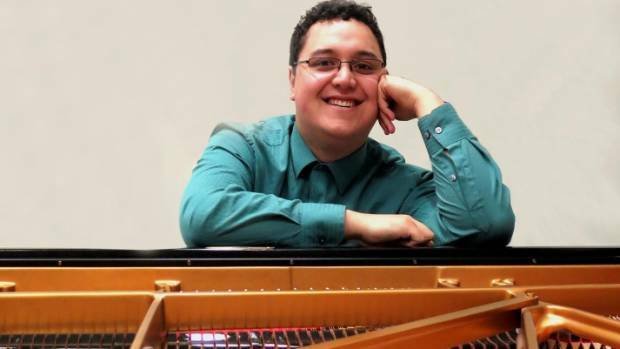 An accomplished pianist, playing since the age of 10, Thomas gained his LTCL certificate with Merit in 2010. Thomas completed his BMus in performance piano at the end of 2016 studying under Jian Liu. Previous teachers include Angela Cook and Judith Clarke. Alongside his BMus studies, Thomas has performed concerts all over New Zealand from Dunedin to Hamilton and also further afield in the USA. He has also been a soloist with the Nelson Symphony Orchestra and Masterton Community Orchestra. In October 2015 Thomas performed Rachmaninoff’s piano concerto No.2 with the Tawa Community Orchestra, which Thomas now conducts. Thomas is certainly not a new face in choir circles having sung with Orpheus, Nota Bene and Victoria Voices. He is now the regular pianist for Orpheus Choir and Festival singers. As well as his duties as accompanist with Festival Singers Thomas also conducts occasionally and more recently conducted several items on their C.D. “People of the Light.” Since 2016 he has been the Musical Director of Cantoris. Thomas’ musical interests include musical theatre, opera, late Romantic composers and contemporary works. He balances his love for music with interests in computer gaming and role playing.